This deluxe guided tour of the Sintra Region takes you to Pena Palace, Cabo da Roca, Cascais, Sintra, and Estoril. Admission fees are included! Reservation requests will only be accepted if made 48h prior to service date and guaranteed after payment. For bank transfers, it's necessary to send back receipt until 48h prior to service date. All tours can be modified or cancelled without further notice. If the number of passengers falls below the minimum required, the tour operator reserves the right to use minibuses or a private car. Spend the day in luxury. 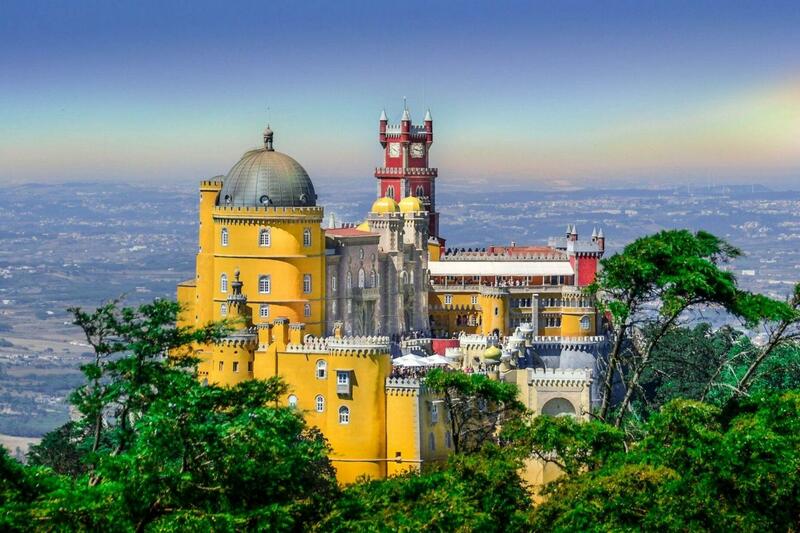 Let yourself be bowled over the fantasy of Pena Palace, a landmark of Romanticism. Discover the charms of the village of Sintra (cultural Landscape of Unesco) that enchanted kings and inspired poets, and enjoy the village where you shall lunch. The tour continues by bus to Colares. Savor the beauty of the landscapes of Cabo da Roca, the most western point mainland Europe has to offer. The day ends by the coast, passing through the villages of Cascais and Estoril. We are glad to hear you enjoyed Sintra! We take great pride in our guides and their abilities to help make a tour memorable for our customers, often in more than one language. We will pass along your kind words to Monica and hope to see you on another Gray Line tour in the future! What a wonderful tour that showed a lot more of what Portugal had to offer. A suitable amount of time was given for each location and the day ended with dropoffs in places that were closer to our accommodation. Absolutely fantastic day. I think the tour need more time in Estoril.